With Memorial Day weekend nearly upon us, we wanted to reflect for a few minutes about the real Memorial Day meaning and why we love Memorial Day weekend. 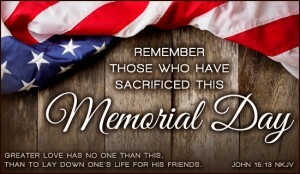 In the United States, we celebrate Memorial Day to honor those who died while serving our country in the military. Many will place flags or decorations on the graves of the fallen and will pause to remember the great sacrifice made to ensure the freedoms we enjoy today. Since Memorial Day also generally signals the onset of summer season, we often celebrate with picnics, parades, parties with family and friends, and family reunions full of refreshments, games, and smiling faces. We might have to be cooking indoors this year, with the rainy forecast outlook for the weekend here in Texas. But maybe you will have sunshine in your neck of the woods and be able to enjoy some great outdoor food – grilling and hosting a picnic or potluck for the whole family. Either way, we have some terrific Memorial Day recipes perfect for dishing up at your gathering this weekend. Smoky Barbecue Burgers – Made with bacon, garlic, onion, and barbecue sauce for seasoning, and stuffed with cheese (think outside the box with provolone, blue cheese or mozzarella). If you’d rather not do the “stuffing” option, simply top the patty with cheese during the last couple of minutes of grilling, so it melts nicely. 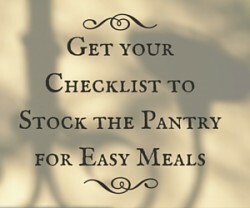 Especially if you’re eating outdoors, the side dishes can get a little tricky – dealing with the heat or bugs or both. Remember to use a screen cover or something similar to keep the bugs out of dishes being served outdoors. And if you’re worried about the heat getting to a dish, try setting the serving dish into a larger bowl or tray filled with ice/water to keep the dish cool. A green twist on the traditional deviled egg recipe with added avocado. Corkscrew pasta with zucchini, cauliflower, peppers, olives, pepperoni & cubed cheese in an Italian vinaigrette. Isn’t one of your favorite thing about a party or picnic, the excitement of serving beverages that are a little out of the ordinary, something special for the occasion? We like serving up some colorful drinks like Strawberry Lemonade, Peach Lemonade, Blackberry Limeade, or this delightful watermelon beverage. And finally we have made it to dessert. For some of us, our favorite part of the meal, right? Try a make-ahead dessert like this Chocolate Chip and Strawberry Trifle, a Creamy Strawberry Pie, or make your favorite type of cake and top with vanilla or cream cheese frosting with rows of blueberries, raspberries, and frosting for a patriotic treat. Remember to have fun with the little ones, too, and let them help in the kitchen. 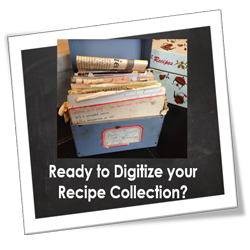 It’s a great way to encourage their cooking endeavors, share family time, incorporate some family history and traditions, all while teaching them some great life lessons. We hope you enjoy a wonderful weekend with your family and friends and remember to honor those who gave their lives valiantly on our behalf. 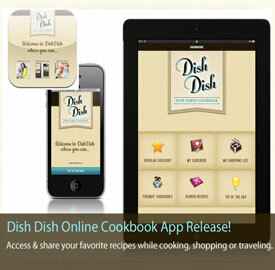 Capture photos and save all your favorite family recipes along with pictures in your online cookbook here at Dish Dish for easy organizing, sharing, and finding when you need them. What do you enjoy most about Memorial Day Weekend? Do you have favorite recipes, dishes, traditions, or activities centered around Memorial Day? Please leave us a comment and let us know!